Home / News / Balkan / SKOPJE HAS THREE TEAMS IN EHF CL: ZRK Vardar beat French Fleury! 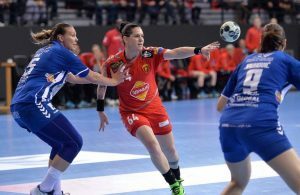 SKOPJE HAS THREE TEAMS IN EHF CL: ZRK Vardar beat French Fleury! Macedonian capital city of Skopje became the unique handball city in the history of our sport. In one season, three teams from the city with 800.000 inhabitans will play at the EHF Champions League! After male teams of RK Vardar and RK Metalurg qualified for the VELUX EHF Champions League, new super-team ZRK Vardar SCBT beat French Fleury Loriet 33:25 at the Qualification tournament Final in Italian city of Salerno. 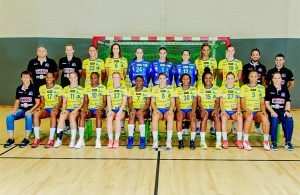 Maja Zebic with 9 and Jovanka Radicevic, who scored 8 goals were most effective in the winning team, while Fernandez Ibanez scored 7 for the French team. Next Story → Women’s EHF CL 2013/2014 completed: FTC and Baia Mare in elite!